As a WordPress enthusiast or a beginner trying to create your first WordPress website you may want to know how to install WordPress theme after installing the core WordPress. There are thousands of free WordPress themes available along with the premium themes that you can download and install. A WordPress theme is the heart and soul of your website that gives your website its desired look, feel and functionality. It doesn’t have to be complex and that’s why we have created this step-by-step tutorial to simplify WordPress theme installation. Installing a WordPress theme pretty simple if you install WordPress theme on a fresh WordPress installation but if you are installing a theme on an existing WordPress installation which has an old theme running then you have to take a backup first of your WordPress install and database. There are few different ways in which you can install WordPress theme so let’s explore how to install a theme through WordPress Admin theme search option. 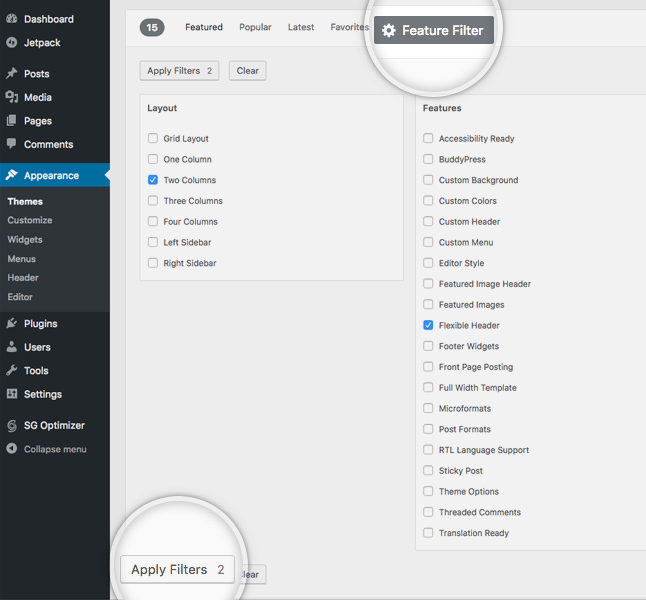 With this option you don’t have to download a theme prior to installation and by performing a simple search the wordpress.org database would pull up all the available free WordPress themes. 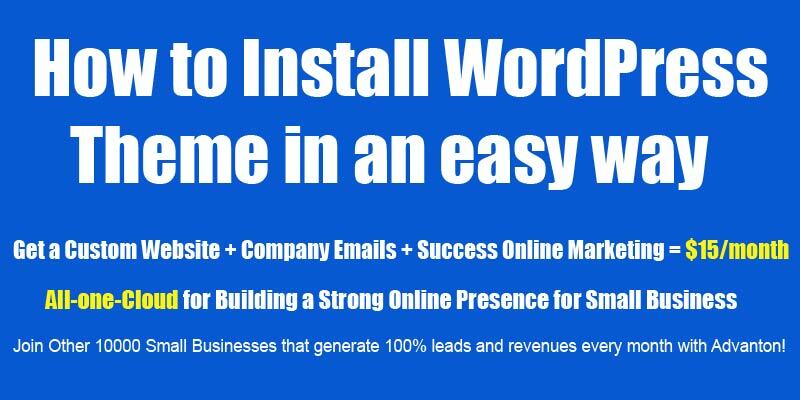 First Step is to login to your WordPress admin area. Next, click on Appearance » Themes. 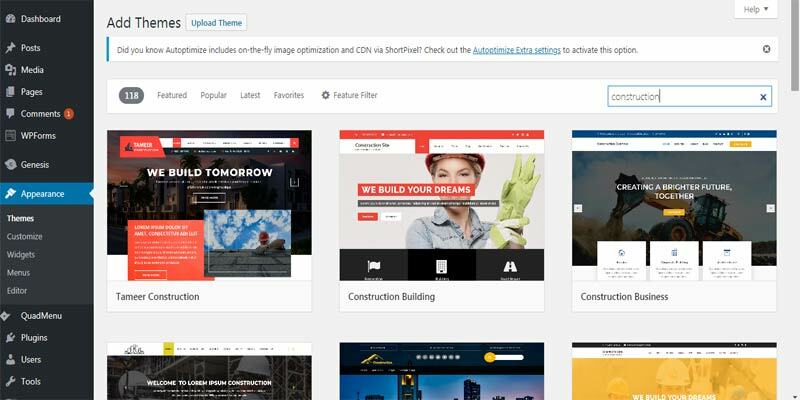 On the next screen, you will have the ability to select from various options that you see such as Featured WordPress themes, Popular WordPress themes, Latest WordPress themes, search for a specific theme, or search for themes with specific features. Based on your search parameters you may see a single theme or a list of themes. 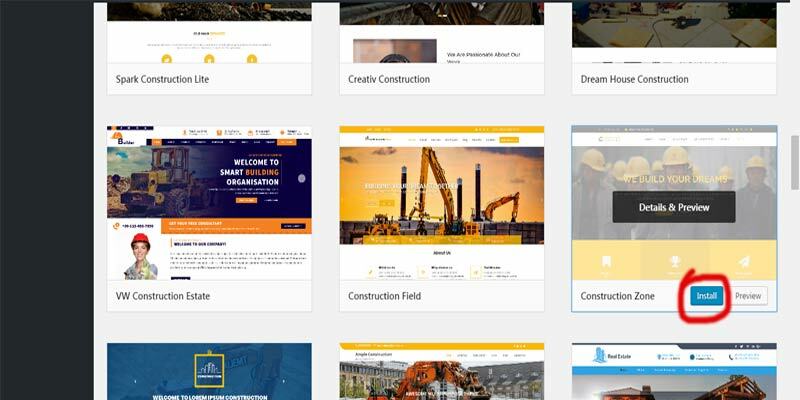 In our case, we searched for the construction theme. 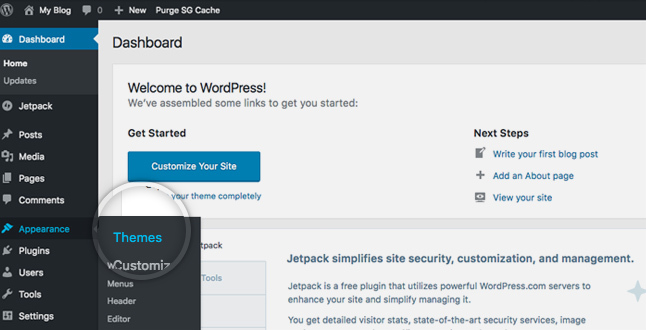 WordPress will automatically install your chosen theme and show you a success message along with the link to activate or live preview. Click on the activate button to activate the theme that you have installed. Note: Depending on the theme that you have chosen, it may need additional WordPress plugins that you may need to install in order to configure the theme properly and make it work. 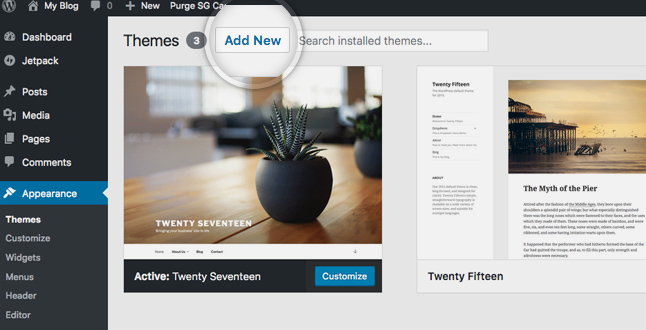 The above theme search method to install WordPress theme only allows installing themes that are available in the WordPress.org database or theme directory. So we are exploring this second method that allows you to install WordPress theme manually which is downloaded or purchased from a different source. There are various websites where you can find free WordPress themes as well as paid versions of professional WordPress themes that you can install using the theme upload option through the WordPress admin. A WordPress theme always comes in a zipped format which is compressed whenever you download it from any theme provider’s website whether it’s a free theme or a paid theme. After you download your chosen theme the step is to login to your WordPress admin area and click on Appearance » Themes similar to the first method. On the next screen, click on the Upload Theme button at the top. This upload theme button allows you to install wordpress theme from zip file. Click on the activate button to activate your theme after the installation is complete. Depending on the theme that you have chosen, it may need additional WordPress plugins that you may need to install in order to configure the theme properly and make it work. 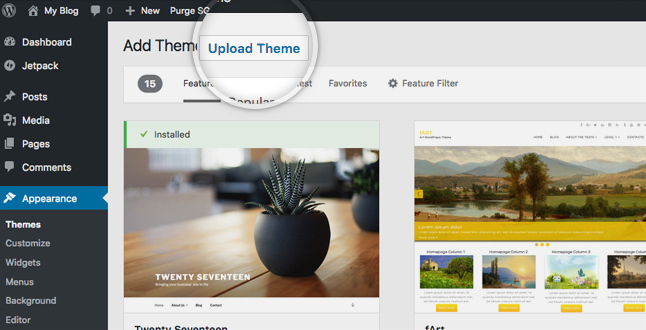 Note: The theme upload option is only available if you are using the self-hosted WordPress. In case you are using WordPress.com then you won’t have the theme upload option if you want to install WordPress theme as mentioned above. Note: Looking for a strong Online Presence with Business Website Free and Free online marketing for your small business to achieve quick growth? Advanton helps over 10000 small businesses every month succeed in generating leads and income. Get started free!